Mr. Minh Tu Nguyen is a PhD Researcher within the DeltAdapt Project since December, 2014. Prior to joining UNU, he worked as a government officer in Vietnam and a research assistant for the WISDOM Project of UNU-EHS, supporting the PhD researcher for field research in the Mekong Delta in Vietnam. Mr. Nguyen studied MSc in Agricultural Sciences in the Tropics and Sub-tropics at University of Hohenheim in Stuttgart, Germany and BSc in Fisheries Management at Can Tho University, Vietnam. His master thesis at the GIZ project in Vietnam dealt with technology adoption of alternate wetting and drying irrigation in rice production in the Mekong Delta in Vietnam. Mr. Nguyen’s research interests include climate change coping and adaptation, land use changes and aquatic resources management. One of his research interests is to understand the political and social-economic dimensions of agricultural development and natural resource management in developing countries. 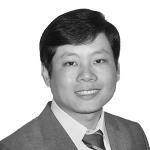 At UNU-EHS, Mr. Nguyen is a member of the Environmental Vulnerability & Ecosystem Services (EVES) Section. His PhD research under DeltAdapt Project focuses on drivers of land use changes observed in both the Red River and Mekong Deltas in Vietnam. In his PhD, Mr. Nguyen assesses the effects of saline intrusion and other drivers of change such as economic interests, policy intervention and international market demand on the shift of land use, livelihoods and agro-ecosystems along the salinity gradient and the trajectories of these changes in the coastal areas of the two Vietnamese deltas.